Although I strive to bake interesting and creative items when I can, there are certain classic baked goods that I want to make sure I've made at least once and succeeded at, if only to be able to whip out a simple dessert for a backyard BBQ somewhere down the road. 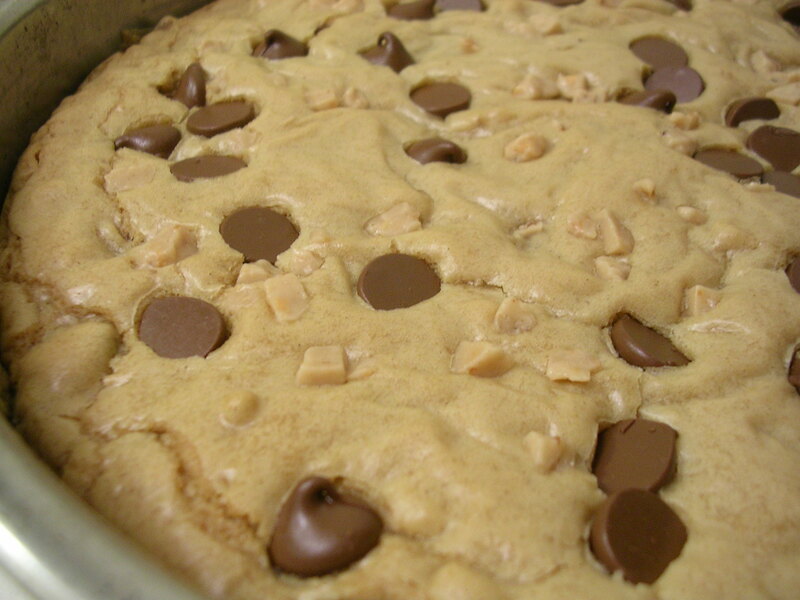 I don't know how it happened, but I've never baked blondies before, even though I've eaten them countless times. And since I've changed my blog tagline to "everything tastes better homemade", well I'd better practice what I preach! 3. Melt butter. Allow to cool briefly, and stir in brown sugar. Beat egg separately, and add to butter and sugar mixture. Stir in vanilla and mix well to get a creamy batter. 4. Gradually stir in flour mixture with the batter until well-mixed. 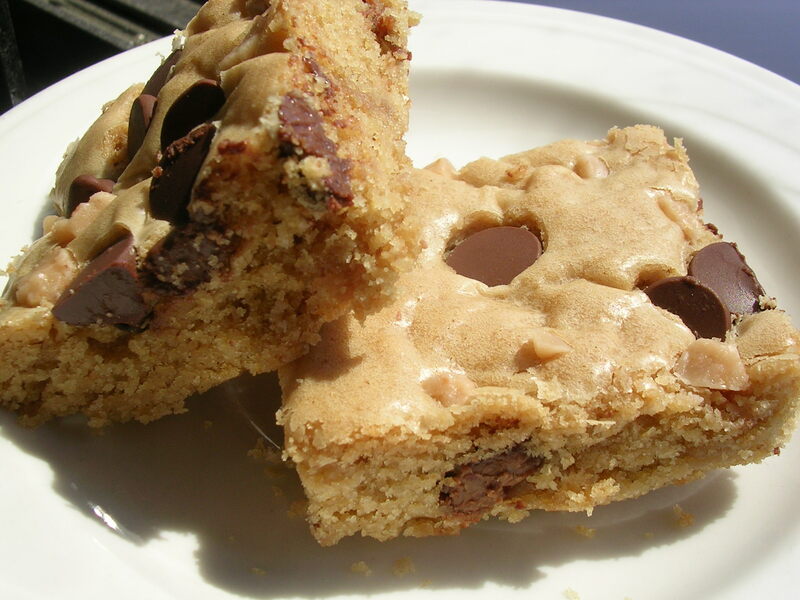 Fold in most of the chocolate chips and toffee bits, reserving some to sprinkle on top of the blondies (or you can just add extra for the top). 5. Spread the batter evenly into an 8×8 inch baking pan (I used an 8" round pan because I don't have a small square pan). Sprinkle remaining chocolate chips and toffee bits on top of the batter if desired. Bake for 20-25 minutes until top is a light golden color and edges are crinkly and pulling away from the side of the pan. Remove from oven and cool completely before cutting. Note: Recipe can be doubled to fit a 9×13 inch baking pan. This entry was posted on Saturday, April 12th, 2008 at 7:03 pm	and posted in American, baking, desserts, essential baking repertoire, recipes, Uncategorized. You can follow any responses to this entry through the RSS 2.0 feed.